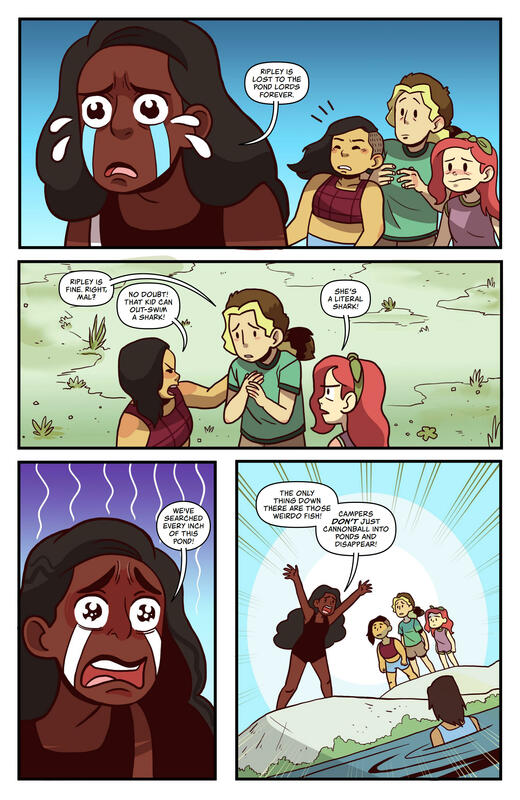 Lumberjanes has to be one of the best comic book stories of the last decade and something of a forerunner of the waves of all ages, inclusive comics we’ve seen populate the landscape over the last few years. I’m glad to see that it’s still going strong and can support multiple books. LOS ANGELES, CA (June 13, 2018) – BOOM! Studios is proud to continue BOOM! Box Jam, a week-long spotlight on the best YA comic books and graphic novels from the award-winning imprint in the coming months with your first look at LUMBERJANES: A MIDSUMMER NIGHT’S SCHEME #1 from writer Nicole Andelfinger (Adventure Time Comics) and artist Maddi Gonzalez (Dream Daddy), along with a story by writer/artist Brittney Williams (Goldie Vance). 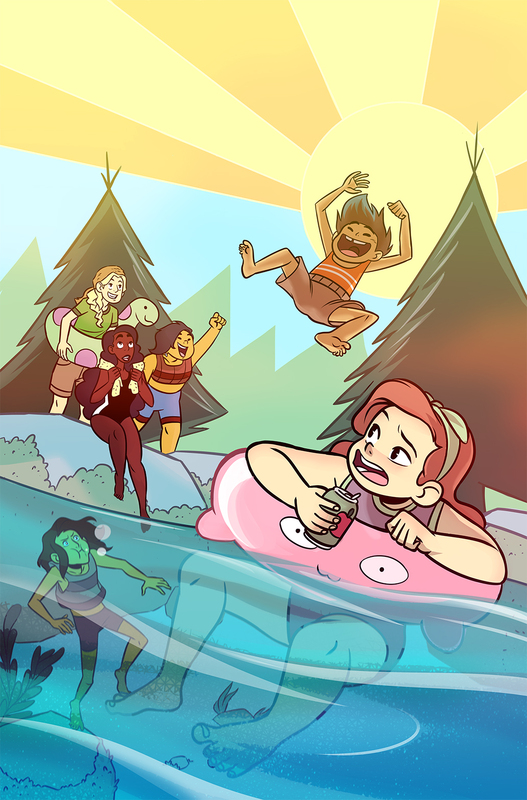 LUMBERJANES: A MIDSUMMER NIGHT’S SCHEME #1 features a main cover by Natacha Bustos (Moon Girl and Devil Dinosaur) and a variant cover by Brittney Williams. Launched in 2014 under BOOM! Studios’ YA-focused BOOM! Box imprint by series co-creators Shannon Watters, Grace Ellis, Brooklyn Allen, and Noelle Stevenson, Lumberjanes was originally solicited as a limited series, but the overwhelming response from fans transformed it into an ongoing series that has become a New York Times best-seller, earned numerous nominated for prestigious awards including the GLAAD Media Award and the Eisner Awards (which it has won twice), and have even crossed over with heroes from the DC Comics Universe (in Lumberjanes/Gotham Academy). 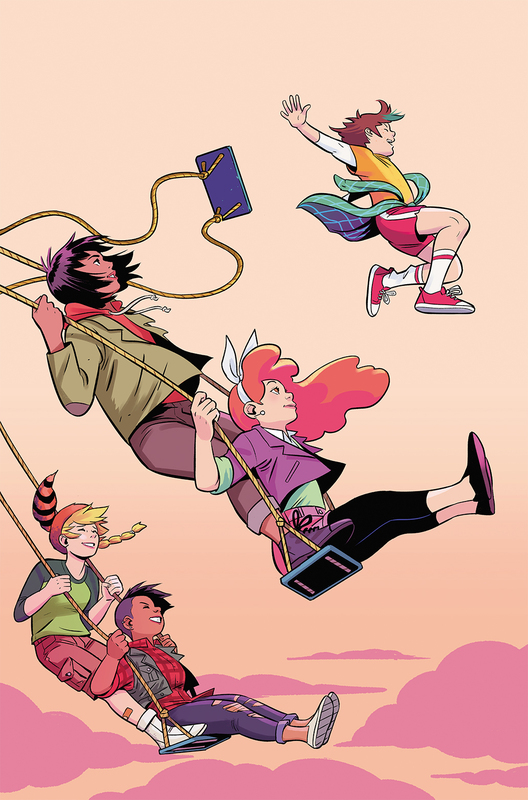 The Lumberjanes have expanded to middle-grade novels at Abrams Books, a diverse array of merchandise from pins to patches, and a feature film in development at 20th Century Fox. 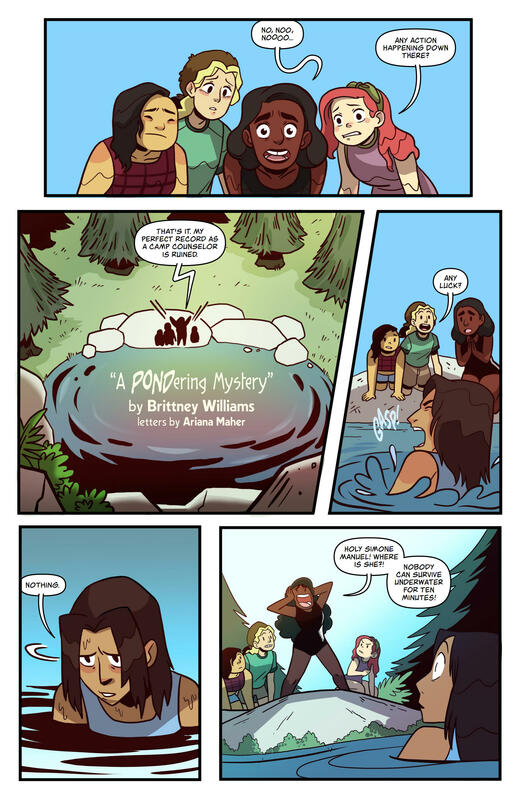 LUMBERJANES: A MIDSUMMER NIGHT’S SCHEME #1 is the latest release from BOOM! Studios’ award-winning BOOM! Box imprint, home to groundbreaking original series such as Giant Days by John Allison, Lissa Treiman, and Max Sarin; Misfit City by Kiwi Smith, Kurt Lustgarten, and Naomi Franquiz; Fence by C.S. Pacat and Johanna The Mad; and Goldie Vance by Hope Larson and Brittney Williams. 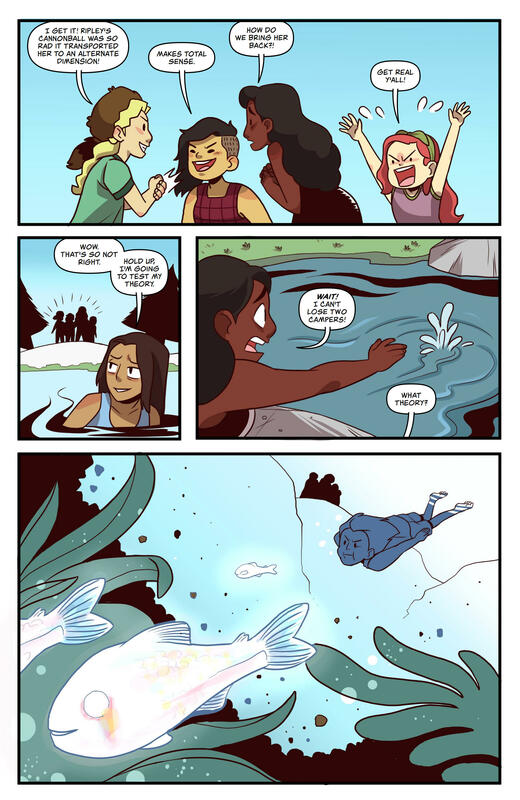 Print copies of LUMBERJANES: A MIDSUMMER NIGHT’S SCHEME #1 will be available for sale on August 8th at local comic book shops (use comicshoplocator.com to find the nearest one) and at the BOOM! Studios webstore. Digital copies can be purchased from content providers, including comiXology, iBooks, Google Play, and the BOOM! Studios app. 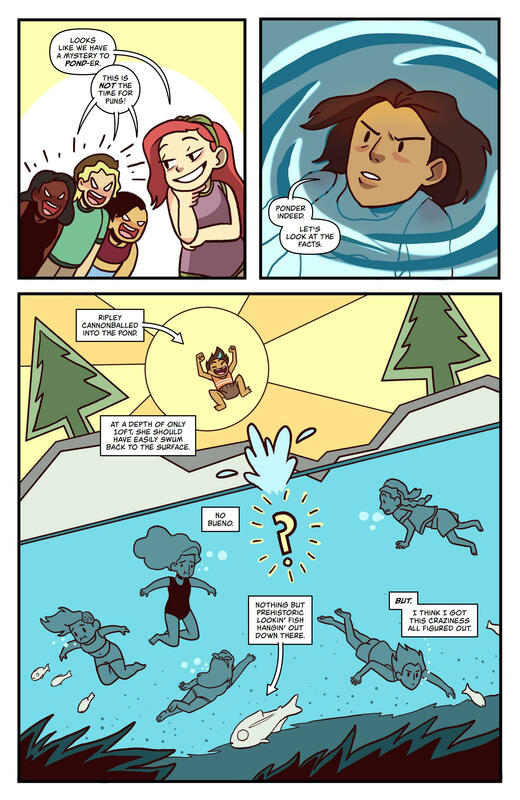 For more on LUMBERJANES and other projects from BOOM! Studios, stay tuned to www.boom-studios.com and follow @boomstudios on Twitter.